Wisconsin Oven Temper Furnace. 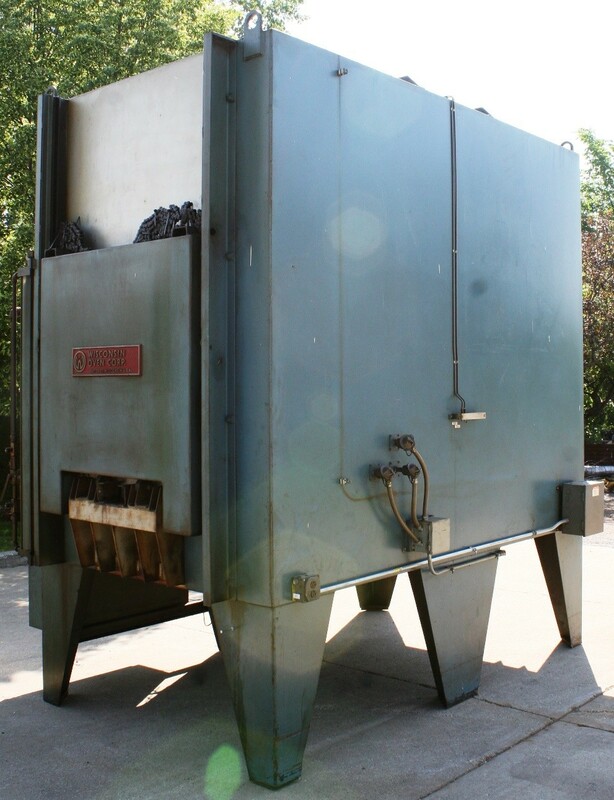 Recirculating gas fired batch temper with air operated vertical lift doors on each end. 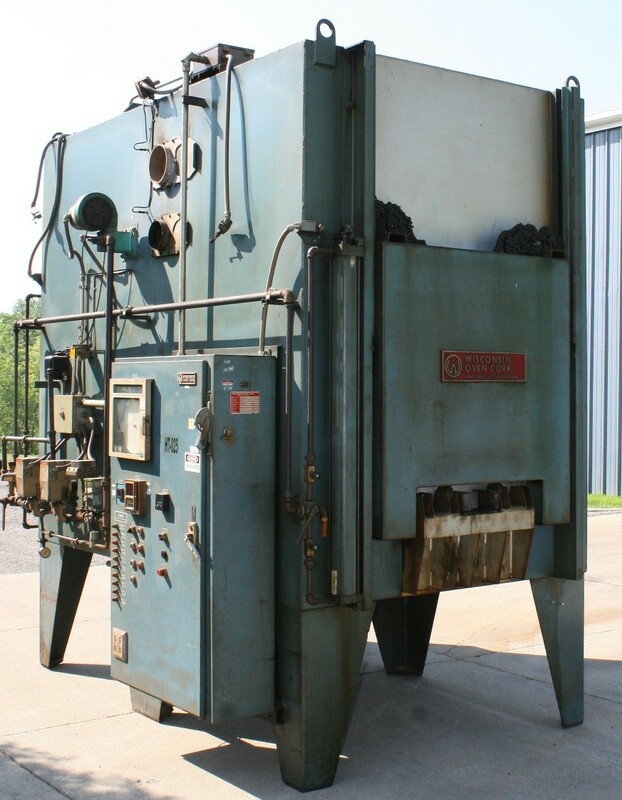 Eclipse package burner with roof mounted recirculating fan distributes heated air in a combination air flow pattern. Roller rail hearth with chain guide. 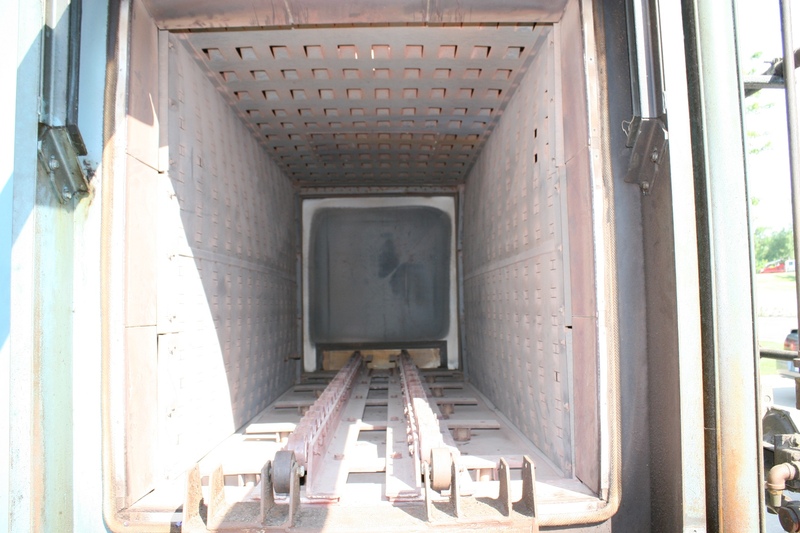 Furnace includes two (2) scissor lift tables. 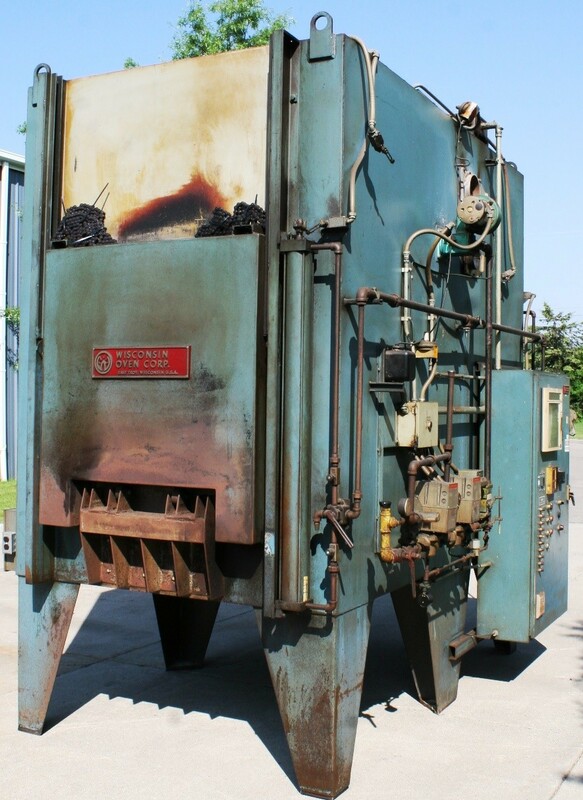 Manuals & drawings are included with this furnace. Natural Gas – 1 MBTU’s/Hour. Model # SDB-6616-10G and serial # 033899307. Max operating temperature is 1000°F with a voltage of 480/3/60/16 Amps. Working dimensions of 36″W x 36″H x 96″L with external dimensions of 96″W x 13’4″H assembled (10’6″H shipping) x 11’L. Controls mounted and wired in an enclosure with fused disconnect attached to the side of the furnace. Temperature controllers consist of a digital Barber Colman 560 digital for temperature and a Barber Colman digital “Limitrol” 75L high limit. 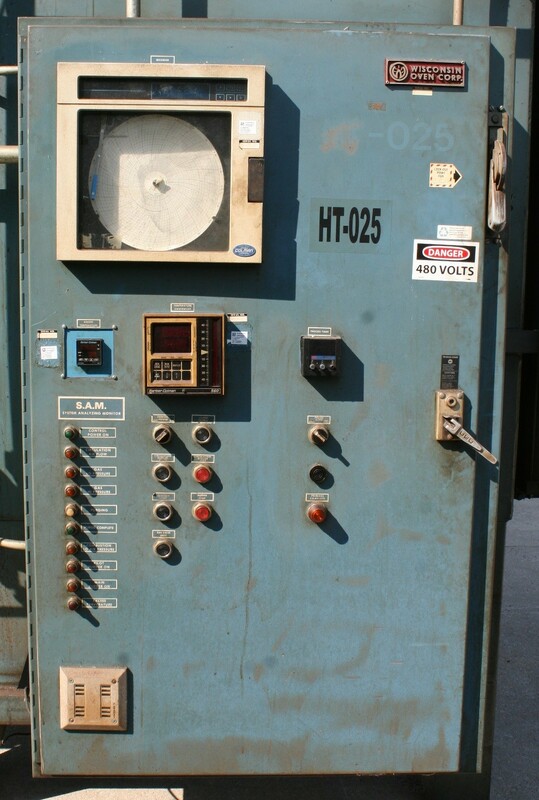 ATC process timer to control heating cycle and Barber Colman digital round chart recorder. Allen Bradley switches for control power, circulation fan, ignition and gas valve reset. Signal lights for control power, air flow, high/low gas pressure, purge, etc. Eclipse package burner with Honeywell flame safety, UV scanner and spark ignition.